Nursing home patients that require a number of treatments and care are at risk of serious injury or fatality when not properly attended. In any nursing home, patient care is critical to the health and well-being of patients. Medication errors, improper nutrition, dehydration, infection, or other harm related to treatment can be devastating. According to a February 2014 government report, 59% of injuries that occurred in nursing homes were preventable. This leaves patients vulnerable to errors and injuries that could ultimately be catastrophic or fatal. The United States has a widespread problem involving the potential for patient injury. For-profit nursing homes nationwide are known to cut costs and corners that can cause serious accidents, injuries, and wrongful death. Our Boston nursing home injury attorneys are dedicated to protecting the rights of victims and their families. We are also committed to raising awareness to prevent future patient injuries and to improve nursing home care. Nursing home care injuries may involve medication errors, infection, failed treatments, or other issues involving neglect. The government report uncovered an alarming rate of patient injuries and errors that were preventable. According to an analysis, more than half of the injured patients had to be readmitted for care, costing an estimated $208 million in only one month. 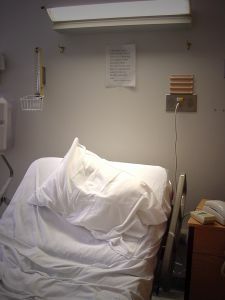 Patient safety experts and advocates were surprised at the rate of frequency that patients suffered harm while under nursing home care. The rate of injury under nursing home care exceeds the rate of medical malpractice injuries that usually garner the most attention. Despite the known risks of patient injury and inadequate care in nursing homes, this report indicates that patient safety has not improved. The government study was conducted by the U.S. Department of Health and Human Services and focused on skilled nursing care. Skilled nursing home care is defined as treatment for up to 35 days after a patient was discharged from an acute care hospital. The study was based on an analysis of 653 randomly selected medical records of Medicare patients in over 600 different facilities. In 22 percent of the cases, patients suffered permanent injuries and in 1% of the cases, patients suffered death as a result of poor patient care. Patient injuries and deaths were linked to medical mistakes, including negligent monitoring, delays, or failure to provide necessary medical treatment or care. Deaths were linked to preventable injuries, including blood clots, excessive bleeding and improper nutrition or fluid imbalance. In one example, a patient suffered lung collapse because the facility failed to identify symptoms. In only one month, 21,777 patients were harmed and 1,538 patients died as a result of substandard care. While the study focused on Medicare recipients, the study raises concerns for all patients. Government officials are urging towards more inspections and oversight of these facilities. To improve levels of treatment and care, the federal agency for Healthcare Research and the Centers for Medicare and Medicaid Services are promoting patient safety as they have already done in hospitals. Currently, there are more than 15,000 skilled nursing facilities nationwide and 90 percent of those are certified nursing homes, providing long-term care.